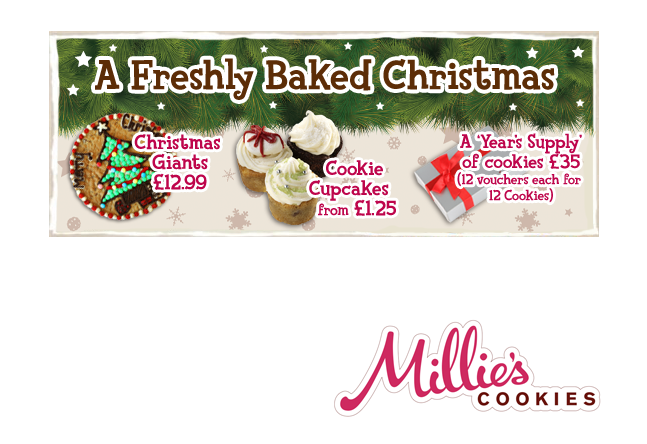 Millies Cookies approached iAngler with the desire to create a series of banners for their website. The designs would be themed seasonally, and promote the offers that they are running in store for their customers. The first of the designs was a Christmas themed banner that was run on the site throughout December. The fresh design generated valuable hits to the products within the website, which most importantly generated revenue as people purchased the goods. Keep an eye on the Millies Website for more exciting promotions.